Power plants were built with asbestos products to protect the machinery, such as boilers, pipes and turbines, because it produced intense amounts of heat. Over time, the asbestos crumbled, placing many workers and their families at risk of asbestos exposure. In addition, workers responsible for building and maintaining these plants often donned insulated, protective clothing or gear to do their jobs. For years in the United States, pants, coats, aprons, mitts and masks contained asbestos. Asbestos exposure was virtually unavoidable in power plants built prior to 1980. Although doctors and scientists in the 1930s began informing plant owners and others about the serious health dangers of the mineral, it wasn’t until government regulations took hold in the 1970s that these owners began relaying information to workers. Insulators, pipefitters, electricians, welders and other laborers often worked in close quarters and either handled asbestos or drilled or cut into it, releasing its toxic fibers. For instance, cutting into asbestos insulation would make fibers airborne, where they could be easily inhaled. Over time, lodged fibers could develop into cancerous tumors or dangerous tissue scarring. The long time lag between asbestos exposure and its related diseases – from 20 to 50 years or longer – gives former power plant employees of that era a reason to monitor their health for diseases such as mesothelioma, asbestosis and asbestos lung cancer. If these illnesses do occur, these workers have cause to seek financial compensation through litigation or through asbestos trust fund claims. Former power plant contract worker Robert Croteau is a good example. In 2007, Croteau filed a lawsuit against Con Edison, Treadwell Corporation and others. Croteau was a contract worker for Treadwell and later developed mesothelioma. He also worked at two Con Edison sites and 23 other power plants that used asbestos-containing materials. He was never informed of the hazard or given protective gear. Because of the companies’ negligence, a court found Con Edison 34 percent responsible for Croteau’s disease and Treadwell 4 percent responsible. The remaining liability was apportioned among the 23 other companies. Discover tips to ensure you keep you and your family safe from the dangers of asbestos exposure. Leroy V. Moran testified similarly in his case against Treadwell and A.O. Smith Water, a maker of water heaters and electrical motors. Moran worked as a steamfitter and mechanic from 1963 to 1990 at several New York powerhouses and later suffered asbestos-related personal injuries. He testified that he was regularly exposed to the deadly mineral when nearby workers used products such as gaskets, rope and packing. Moran has said he was never warned of the dangers of asbestos-containing materials. The case remains active. The experiences of Moran and Croteau are typical. Although many corporate executives knew about the deadly effects of asbestos exposure, they continued using the mineral without supplying employees any information about its dangers or giving them safety equipment as protection. It was typical for workers to handle it without any protection. The Los Angeles Department of Water and Power, which serves about 4.1 million Southern California residents as the largest municipal utility in the United States, utilized asbestos in its power plants to insulate pipes, electrical wires, generators and other machinery. In 2007, LADWP demolished a number of asbestos-containing structures and failed to notify the Environmental Protection Agency (EPA) beforehand. The demolition posed a threat to public health. 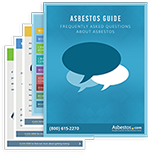 If proper EPA-mandated disposal procedures are not followed, asbestos fibers may be released into the air surrounding the demolition site. Workers and nearby residents may then inhale the fibers and become at risk to develop mesothelioma or asbestosis. 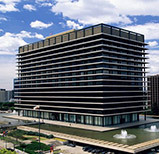 In 2010, a Los Angeles jury awarded $200 million in punitive damages to the wife of a LADWP employee. The employee regularly cut asbestos-containing pipe and unknowingly brought its fibers home on his clothes. When the wife laundered the clothes, she inhaled the fibers which remained in her lungs. Because of her secondhand exposure, she was diagnosed with mesothelioma cancer. LADWP was deemed 30 percent responsible for the woman’s illness and was ordered to pay 30 percent of the total damages ($60 million). Southern California Edison is a century-old company that provides electric service to southern, coastal and central California. In 2006 the company was listed as one of the more than 40 California companies facing a sizeable number of asbestos-related lawsuits. During a 20-year period, nearly 5,000 Californians died of mesothelioma, and some of them worked for SCE. SCE’s Contractor Handbook notes that company buildings may still contain the toxic mineral in various materials. Gaskets, insulation, ceiling tiles, wallboard, pipes, flooring and other general building materials are all noted as potential asbestos-containing materials. Because of the widespread presence of the mineral, each contractor is provided a listing of all items and locations known to contain it. Pacific Gas and Electric Company, better known as PG&E, has a storied history of environmental contamination to go along with asbestos exposure. For much of its existence, PG&E’s nuclear power plants were built with asbestos-containing products, usually related to insulation. Pipes, electrical wires, generators and other high-temperature equipment and machinery were wrapped with asbestos lagging and insulation. Workers who installed these products and those who had to remove them and replace them to make repairs were exposed to asbestos. Numerous workers and former employees – many of them welders, insulators, electricians and pipefitters – filed lawsuits against PG&E after they became ill with asbestos-related cancers and conditions. One 1998 case was brought by numerous residents of Pittsburg, Calif., near San Francisco. 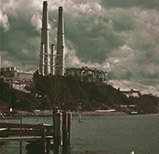 Pipes at PG&E’s 10th Street plant were improperly connected to a boiler, causing asbestos to contaminate homes in the area and boats at the city marina. PG&E said it faced numerous lawsuits and was $12 billion in debt when it filed for bankruptcy in 2001. Four years later, PG&E paid $10.2 billion in damages to hundreds of creditors and resumed business. PG&E is probably best known as the subject of the 2000 movie, Erin Brockovich. The film profiles the problems caused by groundwater contamination in the town of Hinkley, California that PG&E officials knew about and chose to keep hidden. PG&E paid out more than $400 million in damages via lawsuits filed against them. Asbestos was a problem at Comanche Peak Nuclear Power Plant in Central Texas before the plant even opened. In the years the reactors were under construction, individuals in numerous positions – painters, electricians, insulators, laborers, welders and heavy-equipment operators – were exposed without their knowledge and without proper safety precautions. Disposable masks were distributed instead of the fresh-air hoods required by the Occupational Safety and Health Administration (OSHA). Many employees were denied access to the basic materials such as the disposable masks and material safety data sheets (MSDSs) which list the contents and hazards of products. Linda Porter, a painter at Comanche Peak, was exposed to especially egregious conditions at work. In 1988, she and three other workers were given respirators and ordered to perform a test for the company: grinding and power-sanding coatings known to contain silica and asbestos. The foursome was instructed to generate as much dust as possible while doing so. Porter shut down the test after several hours in the enclosed space. She was laid off a few weeks later. Porter believes she was subjected to the test, various other intimidation techniques and eventual termination because of her demands for a safer work environment. Before Comanche Park’s second reactor opened, the plant’s liabilities had resulted in hundreds of workers’ compensation claims related to asbestos exposure. For four years, beginning in 1989, about 2,000 workers from Comanche Peak and the nearby Texas Project plant filed asbestos-related lawsuits against their employers. Workers suffered various ailments because of the toxic substances they came into contact with. Many suffered from asbestosis, mesothelioma, other cancers, memory loss and other neurological problems. Comanche Peak is owned by Luminant Generation, a subsidiary of Energy Future Holdings Corporation. 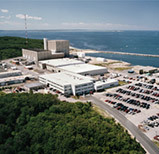 The Pilgrim Nuclear Generating Station is located in the historic town of Plymouth, Mass. The plant was built in 1972 by Bechtel Power as part of Boston Edison and was sold in 1999 to Louisiana-based Entergy Corp. Its General Electric boiling reactor can power about 550,000 homes. 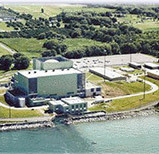 Pilgrim Nuclear is one of Plymouth’s largest businesses, employing about 650 people fulltime and up to 900 contract workers. 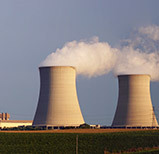 In 1988, Boston Edison proposed a complete restart of the Pilgrim Nuclear Power Plant. This proposal came under significant scrutiny and was brought before the Committee on Labor and Human Resources. Objections to the project stemmed from fears of radioactivity, but one representative brought to light the issue of asbestos. Peter Forman, a state representative, spoke about a previous asbestos abatement project at the plant. He was told by workers that the task was improperly carried out and that there was an unnecessary risk of exposure to the toxin. Similar incidents have led to a number of related lawsuits against Pilgrim Nuclear, in conjunction with Bechtel and Boston Edison. 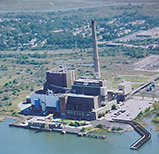 In 2008, Entergy Nuclear began plans to decommission the Pilgrim power plant, a project scheduled to be completed around 2050. Because the mineral was used extensively within the station, asbestos abatement will be a notable aspect of the decommissioning process. The removal is estimated to cost $4.3 million. Located on the banks of Staten Island’s Arthur Kill Waterway, Arthur Kill Powerhouse was a defendant in at least one mesothelioma lawsuit. A 2007 case awarded $4 million to a former Arthur Kill Powerhouse electrician and his wife. Joel Rosenberg first came in contact with asbestos in 1960. He was diagnosed with mesothelioma decades later. His cancer was linked to his time working at a variety of New York worksites, including Arthur Kill Powerhouse. Rosenberg died at the age of 64 shortly after the ruling. The presence of asbestos at Robert E. Ginna Nuclear, which sits on the southern shore of Lake Ontario in Ontario, N.Y., triggered a significant number of lawsuits against its owner, Constellation Energy Group, a former owner, Rochester Gas and Electric. One 2000 lawsuit, filed against several companies by 17 utility workers formerly employed at the plant and other nearby power stations, claimed those companies were responsible for exposing workers to the toxic mineral. The men, who ranged in age from 56 to 75, had all developed asbestos-related diseases such as mesothelioma. Three of the men died before the case was decided. The workers were awarded $2 million in compensation. Con Edison’s power plants served New York City and its suburbs for decades, and they employed tens of thousands of New Yorkers – many of whom were exposed to asbestos fibers as well as polychlorinated biphenyls (PCBs) and coal tar. 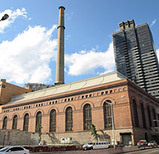 Like many power plants, those built by Con Edison included steam pipes, wires, boilers, generators, reactors and other equipment insulated by asbestos materials. ConEd had paid $273 million in asbestos liabilities by the end of 2001. The company estimated its asbestos liability by 2050 would cost between $37.7 million and $162.1 million. The Joseph M. Farley Nuclear Generating Station is a twin-unit power station located in Columbia, Ala., near Dothan by the Alabama-Florida border. 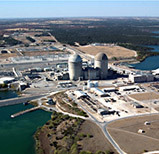 The plant, operated by Southern Nuclear Operation Company and owned by Alabama Power, was commissioned in 1977, the second in 1981. 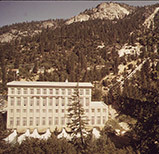 Construction at both facilities began in the early and mid-1970s, putting them at the tail end of an era when power plants allowed asbestos for their construction. Former employees sued Farley, former owner Alabama Power and former operator Southern Company because of claims of exposure at Farley. In some cases, families are filing the suits on behalf of those who have already died of mesothelioma after their employment at Farley Nuclear Plant. In 1997, after receiving notice from numerous subcontracted employees about asbestos exposure, at Farley, the Occupational Health and Safety Administration inspected the Farley facility. Plant operator Southern Nuclear Operating Company was fined after it was determined that it failed to identify all asbestos-containing material before allowing workers into the plant. OSHA noted that the company failed to notify employees of the dangers they faced and take adequate precautionary measures. 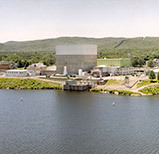 One of the oldest nuclear power plants in the United States – sitting on the border between New Hampshire and Massachusetts – Vermont Yankee Power Plant is the site of a number of environmental accidents and issues. In 2010, for example, the plant leaked tritium and other radioactive isotopes into the surrounding environment. Its most significant known event related to asbestos came in 2007 when one of the plant’s cooling towers collapsed. Residue saturated the nearby banks of the Connecticut River with asbestos, plastic, rotting wood and thousands of gallons of contaminated water. Plant owner Entergy Nuclear of Louisiana, which bought the plant in 2002, has defended numerous asbestos claims, but Vermont Yankee has not been named in a significant number of lawsuits. 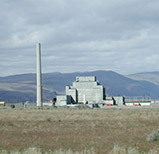 Although it was constructed with asbestos products, as were all power plants of its generation, Hanford Nuclear Site in Washington State does not have an extensive documented track record of asbestos-related incidents, medical issues or lawsuits. Exposure to nuclear waste was much more of a concern at Hanford than asbestos. A 2009 study conducted on former construction workers at Hanford showed that these workers were 11 times more likely than the general public to develop mesothelioma. They also had an elevated risk of developing multiple myeloma, a type of blood cancer. Duke Energy is one of the country’s largest electric power companies. It operates coal plants, oil plants, nuclear plants and hydrogen energy plants, and they hold a broad reach. 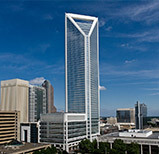 Based in Charlotte, N.C., it bought and merged with a number of utilities over the past two decades. It now supplies energy to some four million customers in the Carolinas, Florida, portions of the Midwest, Canada and Latin America. The company is involved in both franchised electric utilities and wholesale power generation. Duke noted in 2001 that it faced numerous personal injury claims associated with asbestos use in construction and maintenance tasks during the 1960s and 1970s. The company stated that the number of claims had increased significantly since 1977, prompting it to secure insurance to cover approximately $1.6 billion in claims. 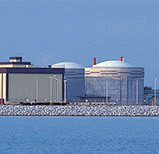 Exelon Generation operates 10 nuclear power plants and 17 reactors, primarily in the Northeast and Midwest, making it the largest U.S. owner of nuclear plants. It is one of the world’s largest producers and wholesale marketers of power. It also carries an extensive history as a defendant in asbestos-related lawsuits. By 2005, Exelon had spent millions of dollars defending asbestos claims and paying compensatory damages. The company stated that it would also assume liabilities from PECO and Commonwealth Edison (ComEd), energy delivery subsidiaries which Exelon had purchased. Exelon estimated another $43 million would be dispersed in damages for claims filed up to the year 2030.